As it would happen, I have found some books to read. Along with a friend of mine, I have sketched out a reading list that encompasses some of the major psychological works of Sigmund Freud. I've been interested in his work for some time, and encountered small snippets as an undergraduate, but think it's about time I grappled with something a little more substantial. We are beginning with The Psychopathology of Everyday Life, a series of essays that includes extensive examples of parapraxis, known commonly as the 'Freudian slip'. Our whistle-stop tour of psychoanalysis also includes Civilisation and its Discontents, Studies on Hysteria and Beyond the Pleasure Principle. 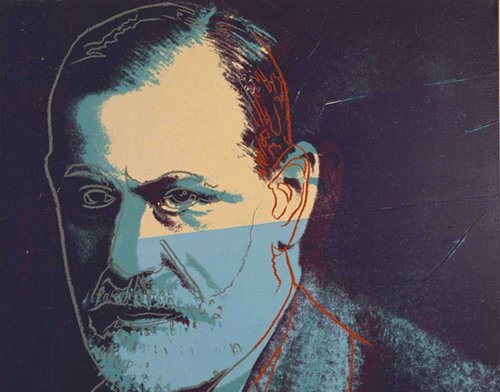 But our first port of call on the royal road to the unconscious shall be the Freud Museum in London, at the house where he spent the last remaining years of his life. To what extent we should take Freud seriously has always been in question. After all, sometimes a cigar is surely just a cigar. Can we really assign such profound significance to all the minutiae of everyday life? Can we honestly expect the simplest of gestures to be loaded with hidden sexual motivations or desires? Who knows. But despite the sweeping generalizations that reoccur throughout his work, he consistently raises many interesting and challenging points. His arguments are often convincing, but almost always fascinating. There's something about Sigmund Freud's writing style that is both intimate and entertaining. He is not the dusty, old-fashioned gentleman one might expect, and comes across as surprisingly vibrant and modern. He's quite the raconteur. His case studies of neurotic patients read like detective stories of the mind, where narratives unravel through a series of slow twists and turns before blossoming at their resolution. Whether one agrees with Freud's final diagnosis is one thing, but the fun to be had along the way is rarely in doubt. May the Summer of Freud commence!